There is no more overblown or misunderstood issue in NH than its demographic trends. There are challenges to be sure but almost all of the popular memes don’t withstand solid empirical analysis. NH’s extremely low birthrates among women 15-44 (first or second lowest in the nation over the past many years – again a sign of NH’s successes not failures as it is a result of women in NH having with high levels of educational attainment and who have a high level of participation in the labor force) means the state must rely on net in-migration for labor force and population growth. I have argued for more than a decade that there is nothing that has fundamentally altered NH’s attractiveness as a place to live, despite a number of years recently where more individuals moved out of the state than moved into NH. During times of recession NH tends to lose educated and talented people to places with more opportunity, while the housing crash that prompted the last recession made it especially difficult for NH’s core in-migration demographic (two wage earner, married couple families, ages 30-44, with children) to move into NH because they likely would have had to sell a house with an underwater mortgage and they would also have wanted to buy a house in NH (both of which were much more difficult between 2007 and 2013). Like all rural states, NH also sees a high percentage of young people leave and that has not changed in decades. The good news is that net in-migration to NH is resuming and gaining steam, NH had the 6th highest rate as a % of its population of any state and the demographics of in migrants were a bit younger than prior years. 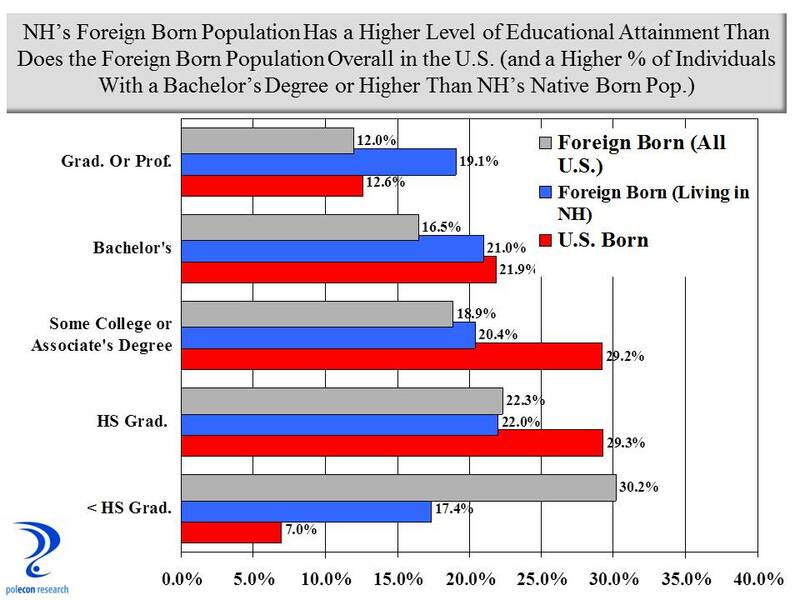 In addition, about 55% of in-migrants to NH over the past five years have a post-secondary degree, adding to the overall skill level of NH’s population. 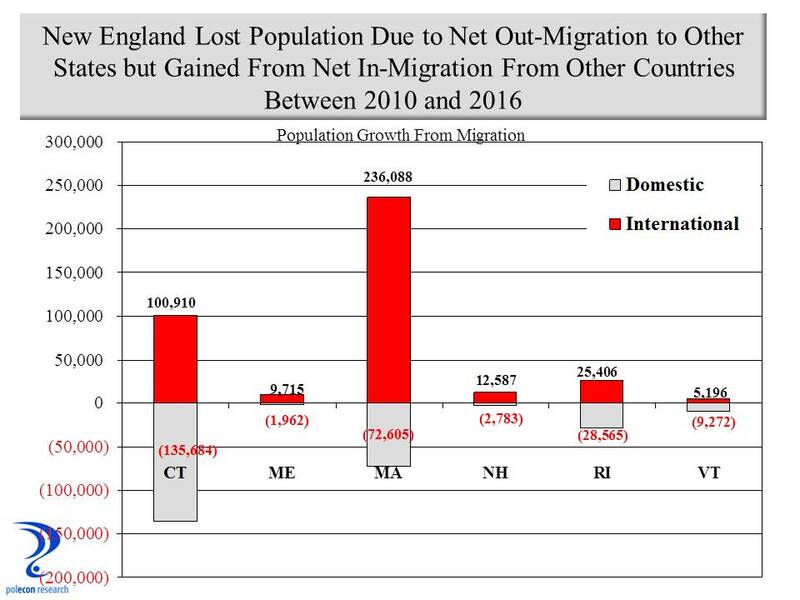 Still, net in-migration tends to be concentrated in a few areas of the state, the Seacoast, Strafford and Rockingham Counties in particular, and in several communities. 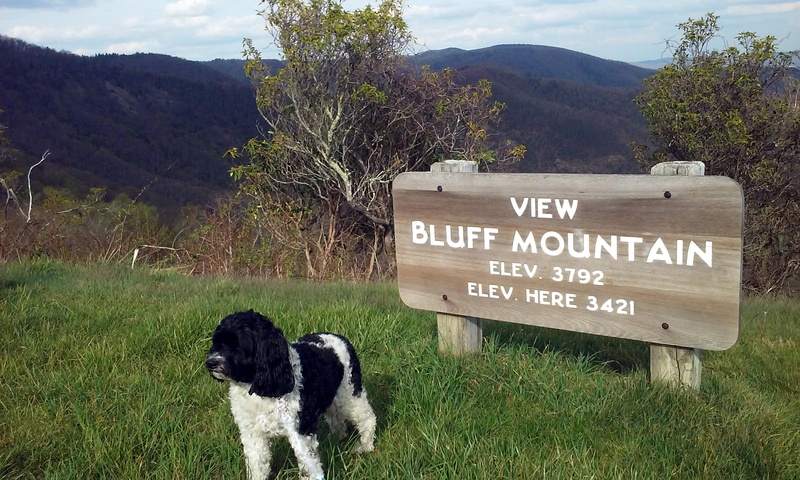 While state policymakers worry about statewide demographic trends it is most important to remember that the state and its communities are not monolithic. Trends vary greatly across communities and it is the decisions and policies of local communities that most affect demographic trends. It would be wise for policymakers and local officials to look to the characteristics of communities that are bucking the trends about which policymakers are most concerned (aging, out-migration, etc.) for prescriptions to address their concerns. Is NH’s Labor Deficit Turning? Aside from the ups and downs of business cycles, the growth rate of New Hampshire’s (and the nation’s) labor force and labor force participation rate has been on a consistent, downward trend. The rising percentage of NH’s population in age groups with traditionally lower rates of labor force participation along with slower overall population growth are key contributors. The two trends go a long way toward explaining why economic growth has been slower over much of the past two decades than during earlier time periods. 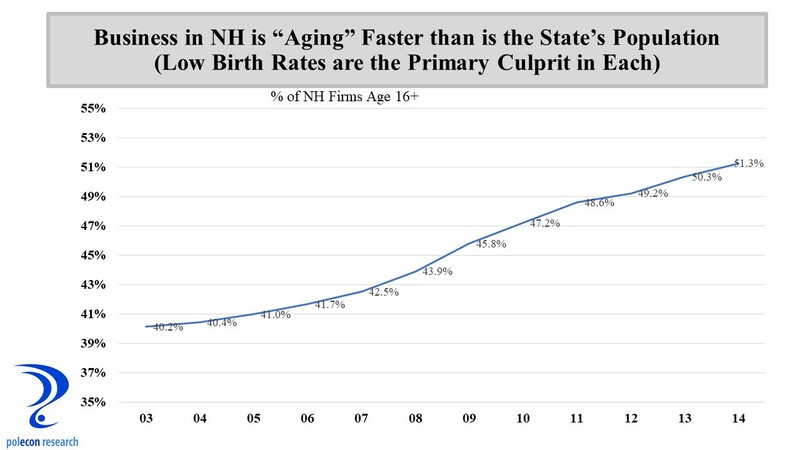 As I noted in earlier posts, with NH’s extremely low birth rates, net in-migration to the state is critical for population, labor force, and ultimately employment growth. Net state-to-state in-migration to NH is resuming in age groups with higher labor force participation and one consequence is a recent increase in the working-age population, as well as labor force participation in the state (chart), enabling stronger job growth in NH. It is early but the trend is very encouraging. The U.S. economy is currently in its 86 month of an economic expansion that began in the summer of 2009 according to the National Bureau of Economic Research, the organization that officially dates U.S. business cycles. If the expansion lasts another seven months (as it will), it will be the third longest economic expansion in our nation’s history, trailing only the 120 month expansion from 1991 to 2001 and the 106 month expansion from 1961 to 1969. The probability of recession in the next six months is low but the business cycle hasn’t been repealed, another recession will occur and almost certainly sometime before the end of 2019. It’s just that none of the excesses – wage and price growth, high energy prices, inflationary pressures, inflated asset values, etc.- that have preceded past recession are much apparent in today’s economy and there aren’t signs that any are imminent. What will make the next recession unique in the post WWII era is that it may very well occur before the nation has fully recovered from the previous recession, despite how long the current recovery has lasted. “Fully recovered” here means that the actual output of the nation’s economy (GDP) reaches its potential output (for a brief explanation of actual and potential output of the economy see this Congressional Budget Office publication). This is somewhat akin to feeling the effects of a hangover in the morning despite not having enjoyed the celebration the night before. Unlike the last recession, or most recessions, the next one may not begin with a bang but rather with a whimper. No expansion can last forever; the U.S. and the NH economies are showing signs of slowing so it is difficult for me to believe that the nation can avoid slipping into recession sometime during the first term of our next president. If that President is named Clinton it will most likely mean a one-term presidency as three consecutive terms for an incumbent party (relatively rare in itself) along with a recession in the third term (unless is happens very early in her term allowing sufficient time for growth prior to 2020) would almost certainly result in the nation looking for a change in the party controlling the White House. If the President is named Trump he will no doubt blame the recession on the past administration and that may help give him a pass in 2020, but a recession will challenge his claim as someone who knows how to create jobs, while his penchant for populist and nationalistic themes aren’t generally viewed as monetary and fiscal policies effective in combating a recession. His administration’s and his personal response to the recession might determine his fate (does anyone else remember the images of the first, single-term, President Bush zooming around in his cigarette boat off the coast of Maine while the U.S. was in the middle of the 1990-91 recession?). The past two months have been marked by one very bad and one very good month for job growth in the nation and in NH. I advocate looking at three months of job growth numbers in discerning employment growth trends and a prudent man would wait for the release of the nation’s July job growth numbers on August 5th before making any proclamations about the direction of the U.S. or NH economy. But a prudent man doesn’t write this blog and I am comfortable knowing that when you right too early it often seems like you are wrong so here are a few of the more accessible indicators that I believe suggest slower economic growth moving forward. There are others but jobs and revenues are what interest policymakers most so they are highlighted here. 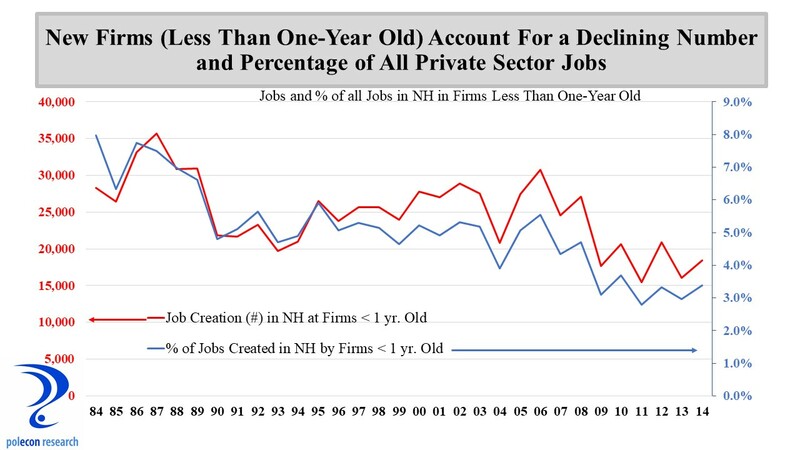 The rate of private sector job growth has slowed. The number of industries that are adding jobs versus the number shedding jobs (the employment diffusion index) has declined. Help wanted advertising is declining. Nationally, state corporate income tax collections appear to have peaked. Recognizing that there is always some level of unemployment in the economy, the nation and NH are at or very near “full employment,” making job gains harder to obtain. Full employment in the latter stages of recovery is the most obvious rationale for slower job growth going forward. As the chart below shows, growth in private sector employment nationally is still solid but has been trending downward for some time while growth in NH accelerated in 2015 but appears to have peaked in early 2016. I use a 13 industry private employment diffusion index to assess the breadth of job growth across the private sector economy. When more industries are adding jobs than are shedding jobs, the index is below .50 and the greater the number of industries adding jobs compared to those shedding jobs the higher is the index number. The chart below shows that both the national and NH diffusion index have dropped, with NH’s decline of particular concern as it now stands below .50 on a three month moving average basis. NH’s employment numbers are often substantially revised so this index value may not be as bad as it appears here but the U.S. number still points to a slowdown. Historically, significant declines in NH’s employment diffusion index have signaled turning points in the state’s labor market. The relationship between NH’s diffusion index value and the rate of year-over-year private sector job growth four months later is strong (a correlation of .82). A simple linear regression of the NH diffusion index on private sector employment growth suggests the last two quarters of 2016 will see private employment growth in NH of about 0.6% on an annualized basis compared to the current rate of growth of about 2.0%. Clearly not in danger of recession but definitely a slowdown. Nationally and in NH the number of help wanted ads has declined in recent months. In NH the relationship between the three month moving average of help wanted ads and job growth in the quarter that follows is strong (R= .80). Nationally, the rate of growth in state corporate income taxes is declining (chart below). The chart shows that compared to all states combined, the growth in NH’s business tax revenues is increasing as the growth rate nationally declines. This despite the fact that NH’s private sector employment growth has been at about the U.S. average over the past year. What is different in NH is the inclusion of NH’s Business Enterprise Tax revenue along with NH’s tax on corporate profits in the chart above. Both private employment and wage growth have accelerated in NH over the past year. Wages and salaries paid by a business are the largest portion of the Business Enterprise Tax base so even as business profits grow more slowly, business tax revenues can be buoyed by substantial increases in overall wages and salaries. While not a measure of the payroll of NH businesses, wage and salary income increased in NH by 8.6 percent between QI 2015 and QI 2016 compared to 5.3 percent nationally. That increase has helped boost Business Enterprise Tax revenue and overall business tax revenue in NH in a way that it cannot in other states (most other states would see the change in individual income tax revenue). The trend is depicted in the chart below that shows the growth rate of the annualized business profits portion of NH’s business tax revenue has slipped while the growth rate of the portion more dependent on wages and salaries has seen accelerated growth. A slowing growth rate in private employment in NH implies slower growth in wages and salaries and business tax revenues in the state growing more similarly to the pattern among states nationally. This will occur just as a budget surplus and strong overall revenue growth have increased pressures for additional state spending that had been muted by several years of relatively weak business tax and overall revenue growth. It is impossible to predict monthly payroll employment growth for a small state like NH (or any state for that matter) but I predict employment growth of about 120,000 jobs nationally in July but anything between 100,000 and 150,000 would be in line with the indicators highlighted in this post and consistent with a gradual slowing of economic growth nationally and in NH. Not soon but at some point that slowing will become a recession and that will be the reward for winning the White House and for new and incumbent occupants of statehouses across the nation. Last week the NH Labor Market Information Bureau released the NH jobs report for May and as usual all of the attention focused on NH’s low (2.7 percent) unemployment rate. The more significant story was the April to May decline of 4,000 payroll jobs in the state. Private sector jobs in NH were lower by 3,400 in May, the largest one month decline since 2008 – with one exception – a month in 2014 when workers at the Market Basket grocery chain left their jobs in support of their ousted CEO. May 2016 job losses were an out sized drop for any month of seasonally adjusted data (a decline of that size would more likely be seen in the not seasonally adjusted data where large changes in employment occur annually during certain months of the year). I am inclined to attribute some, but not all, of the drop in NH’s May employment to problems with seasonal adjustments and other statistical issues. Still, the May data marks the first time since 2011 that a three month moving average of private sector employment growth in NH has been negative. The term “statistically significant” decline in employment is important. Twenty seven states experienced declines in nonfarm payroll employment in May but in only four of those states was the decline deemed “statistically significant,” meaning that the decline was large enough for the BLS to be at least 90% certain that the change in employment did not fall within the margin for error of the employer survey on which the employment estimates are based. 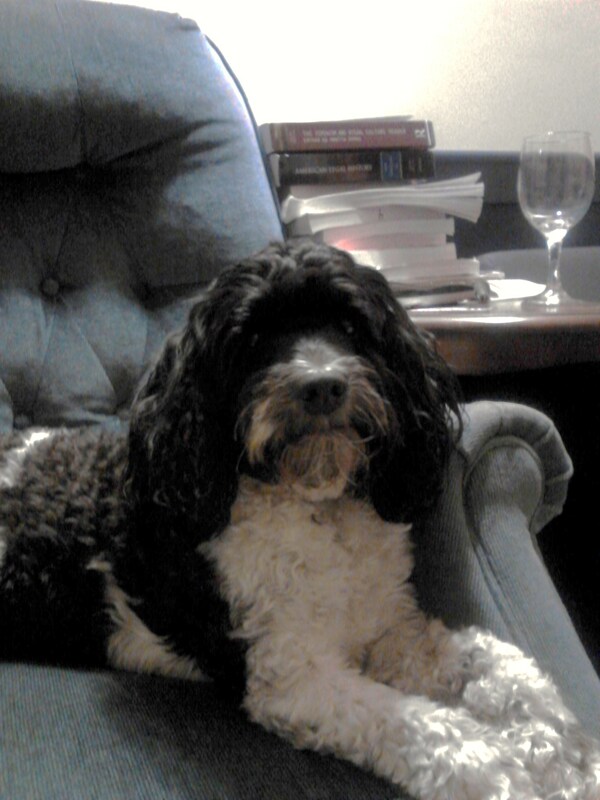 It is not wise to be too concerned with one month’s job report. Whether the May job growth number is real or illusory and the product of statistical anomalies, the numbers for NH still should have attracted more attention (than a 0.1% uptick in the unemployment rate) from the media and especially from lawmakers and public officials. The May job growth number is certainly more noteworthy than a slight uptick in the state’s unemployment rate that was the focus of most media reports. As I noted in my previous post, employment growth nationally and in NH is going to slow and one bad month is not reason to panic. But NH’s year-over-year percentage increase in private sector employment took a big hit with the May jobs report and the state’s ranking among states on private sector job growth did as well. Private employment growth in NH has been on a solid pace for more than a year but with the May data NH moved from the top third to the bottom half among states on year-over-year private sector job growth. Public sector job cuts continue to be a drag on NH’s total nonfarm job growth, shedding about 2,500 jobs between May of 2015 and May of 2016, by far the largest percentage decline of any state in the nation. Still, while the May jobs report was troubling, initial unemployment claims are a very good leading indicator of economic activity and they remain subdued in NH and have yet to suggest a significant downtown in either the U.S. or NH economies. The May jobs report also showed a continuation of the recent trend of solid labor force growth. My primary concern about the May jobs report for NH, and with monthly jobs reports for NH in general, is how little attention payroll employment numbers get from policymakers and how much attention and importance is given to the state’s unemployment rate. The state will begin crafting its two-year budget this fall and solid revenue gains over the past year and a budget surplus are building pressure for substantial increases in state spending. This isn’t a commentary on the merits of specific spending proposals (I will save that for later posts) just a caution that the fiscal environment into which spending proposals will be entered can change and the need to recognize that change as far in advance as possible. I would feel more comfortable about the upcoming budget process if NH’s weak May jobs number, and the possibility that weaker job growth will continue, were at least acknowledged by policymakers, state agencies, and the media. I want to know that there is someone in NH’s wheelhouse focused on the horizon and not on our wake. I understand the appeal of the unemployment rate as a single, intuitive metric that summarizes economic conditions but the unemployment rate is a lagging indicator of labor market and economic trends. For policymakers and anyone who needs to assess the near-term economic outlook, using the unemployment rate as a guide is a bit like driving using the rear view mirror. The unemployment rate is an important economic indicator that says a lot about current economic conditions, it is just not that useful for forecasting purposes. Moreover, NH’s demographics (fewer individuals in demographic groups that typically have high rates of unemployment) mean that the state will almost always have a relatively lower unemployment rate than the U.S.. Too frequently that leads lawmakers and others in NH to assume the state’s economy is performing better than it actually is and better than the U.S. economy. Business taxes are a big reason that NH revenues have outperformed expectations this fiscal year, accounting for almost two-thirds (or $61.4 million) of the $99.4 increase in traditional taxes and fees over FY2015 during the first 11 months of fiscal year 2016. Focusing on changes in private sector payroll employment and wage growth is especially important for lawmakers in the Granite State and especially important as we head toward a budget making year. As a lagging indicator of economic activity NH’s unemployment rate will remain low, even as the economy slows. If lawmakers focus too much on NH’s unemployment rate in their assessment of state revenue trends they risk delaying recognition of turning points in the NH economy and thus changes in state revenue trends. Private sector employment and payroll growth slow before significant changes occur in the state’s unemployment rate and private sector employment growth is a better indicator of trends in NH business tax revenue than is the state’s unemployment rate. So the next time a public official brags about NH’s unemployment rate, ask him or her how many jobs were added in the state during the last month. A perfect storm is brewing for the economy and individual businesses in NH and across the country. Slow labor force growth, the retirement of baby boomers, and weak growth in labor productivity are severely limiting the productive capacity of the nation’s economy. Between 2010 to 2015 labor productivity in the U.S. increased by just 0.5 percent on average annually, and the labor force by an average of just 0.4 percent. Since the end of World War II, the combined, labor productivity and labor force growth in the U.S. had never fallen below 1 percent – until 2015 when it was just 0.9 percent. 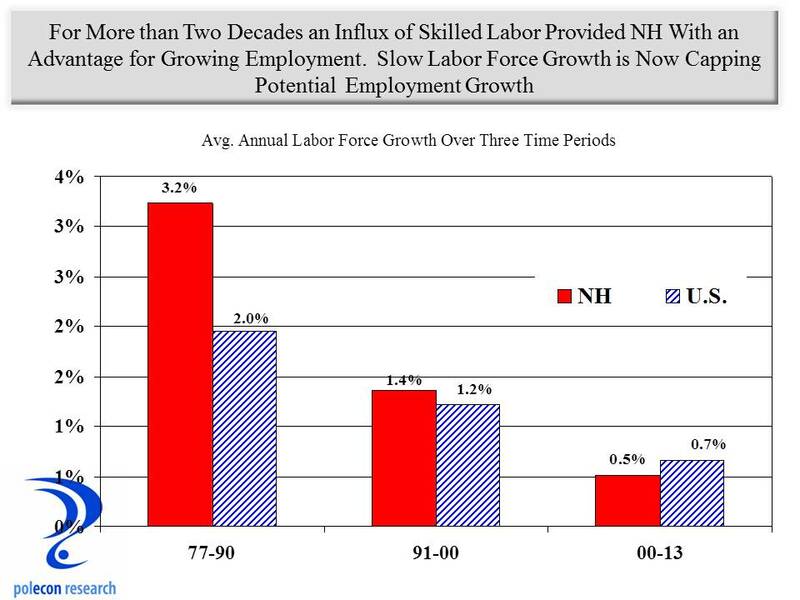 I have written about the the limits labor force growth place on the U.S. and NH economies here and here (and others). Factors such as the flow of population (state-to-state migration and international migration), and changes in labor force participation rates will play a large role in determining which states and regions are most affected, but a real possibility exists that the economies of some states and regions could shrink over time. A quick assessment of the potential impact of baby boom retirements across the country is illustrated in Figure 1 which shows the ratio of the population in each state that will (or could) be entering the labor force approximately over the next decade – that is individuals currently ages 5-19 – to those who will (or could) be exiting the labor force – individuals currently ages 50 to 64. The bars in the graphic that fall below zero indicate states that face more retirements from their labor force than new entrants over the next decade or more. As the chart shows, the labor force in New England and much of the Northeast will be especially challenged by baby boom retirements as far more individuals will leave than enter the workforce. In NH, the impact of baby boom retirements will vary greatly by industry. The Millennial generation will soon be the largest segment of the labor force but their distribution across industries varies greatly. For this analysis I examined the demographic characteristics of each industry’s workforce in NH. 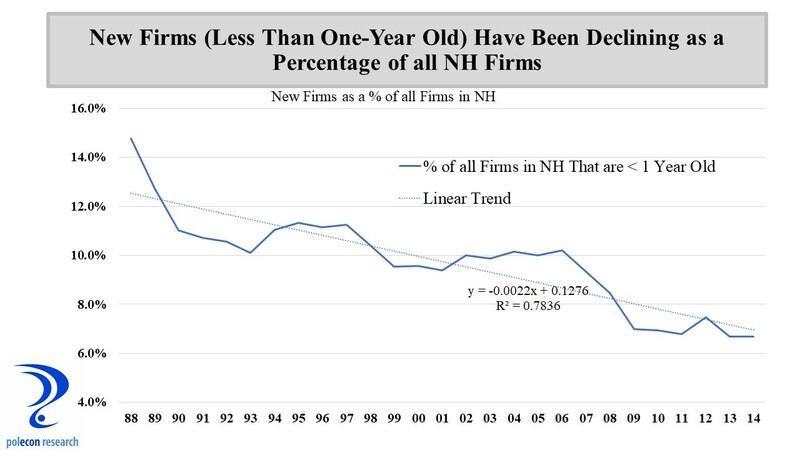 Figure 2 presents the ratio of early career (age 25-34) to older workers (age 55-64) in major industry groupings in NH. The graph suggests industries that will be more and less challenged by retirements of the baby boom generation. Industries that have higher ratios employ more individuals early in their working lives than individuals nearing retirement age. 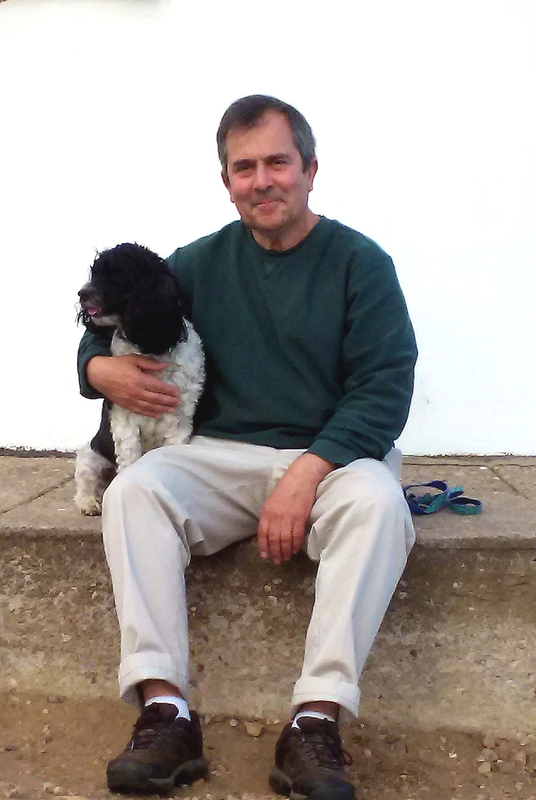 Several industries stand out for the high percentage of older individuals in their workforce. Manufacturing is one industry that has had difficulty attracting younger workers and I have written about that issue long ago in this blog, Educational services is another. Professional, scientific, and technical industries have a surprisingly low percentage of younger workers but an examination of this industry grouping at a more detailed level shows that the legal profession has among the oldest demographics of any industry in the state. Looking at the age composition of workers in broad occupational groups in NH (Figure 3) shows how much difference there is across different occupations employed in professional, scientific, and technical industries. The ratio of younger to older workers in the legal profession is just 46 percent, while in computer and mathematical occupations there are many more younger workers and the ratio is 127 percent. Health care is also a field with a larger percentage of older individuals in the workforce but when the demographics are examined at a more detailed industry level or by specific occupations, it is clear that the industry is bifurcated – with physicians and other health care practitioners having an older demographic while many of the support occupations in the industry that have emerged as health care has become a much larger portion of the economy, have a much younger demographic. The retirement of baby boomers only hints at the industries that could face the most significant labor shortages over the next decade. Retiring workers may need to be replaced but they may not. If employment in an industry shrinks or if it grows slowly over the next decade, then labor shortages are likely to be less severe than baby boomer retirements would suggest, even in industries with a higher percentage or older and retiring workers. To capture the impact of industry trends on potential labor shortages related to baby boom retirements I combined projected industry growth in NH over the next decade with the ratio of younger to older workers in each industry to produce a supply/demand balance metric. For illustrative purposes I present the supply/demand calculations for broad industry groupings in Figure 4. I did the same calculations at a more detailed (50+ industry) level but that level of detail is not amenable to presentation in a single graphic. It is not possible to know what industries workers entering the labor force over the next decade will work in so these calculations are only rough estimates of potential supply/demand imbalances. As the chart shows, industries with a relatively older workforce, such as manufacturing, public administration, and utilities, will nevertheless likely confront fewer labor shortages because of slower employment growth in those industries. Unfortunately, all industries are likely to face shortages in some occupations that are employed and in demand across many industries. What Can States and Business Do? The primary shortcoming of Figure 1 is that it is a static representation of the demographics each state’s workforce. The population and demographic composition of states are not static however. People move from place-to-place, state-to-state, county-to-county, and country-to- country. A state or region with substantial labor shortages that is also viewed as an attractive location can see increases in labor supply in response to labor shortages and wages that are rising in response to shortages. 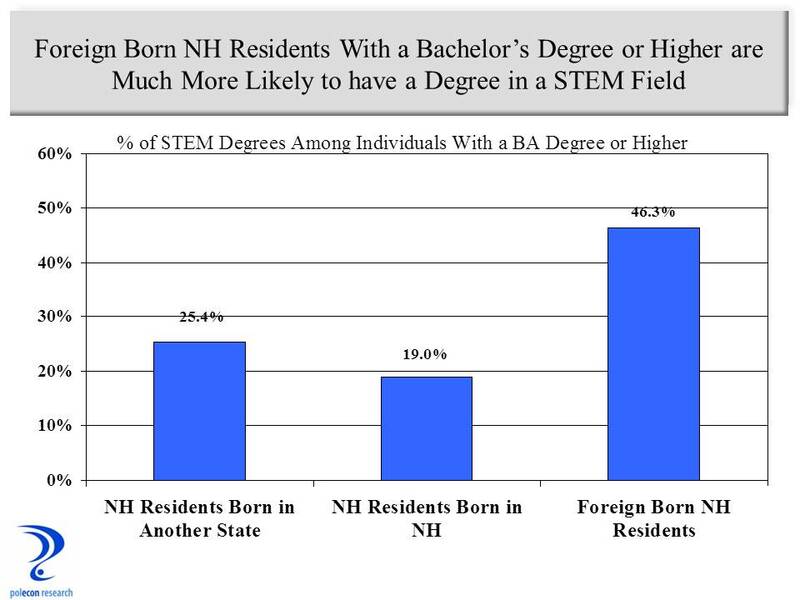 For more than two decades attracting skilled individuals with higher levels of educational attainment has been a key to NH’s economic success, since the mid 2000s however, NH has seen fewer individuals moving into the state from other states. A popular meme in NH (and in many rural states) is that the state’s labor force challenges are largely the result of young people leaving the state. But that is a phenomenon that has been occurring for decades in NH as it has in other rural states. 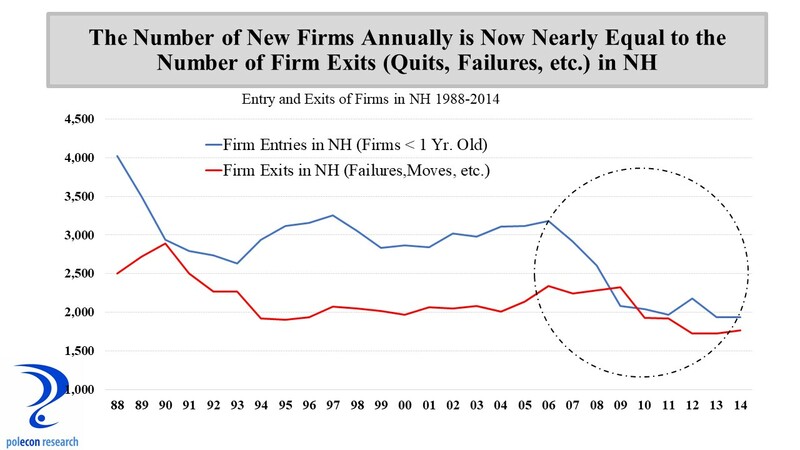 While it plays some role in the state’s labor force challenges, it has not been a key factor contributing to or detracting from NH’s economic performance – either NH’s strong successes of the 1980s and 1990s or its subpar job growth of recent years. I wrote about who is moving to NH here, the chart below adds who (from an age perspective) left NH during the same recent 5 year time period. I am not arguing that we ignore the issue of out-migration of youth, but a state budget in surplus along with the “migrating youth” meme is likely to produce proposals for labor supply policies that are likely to be as costly as they are ineffective. 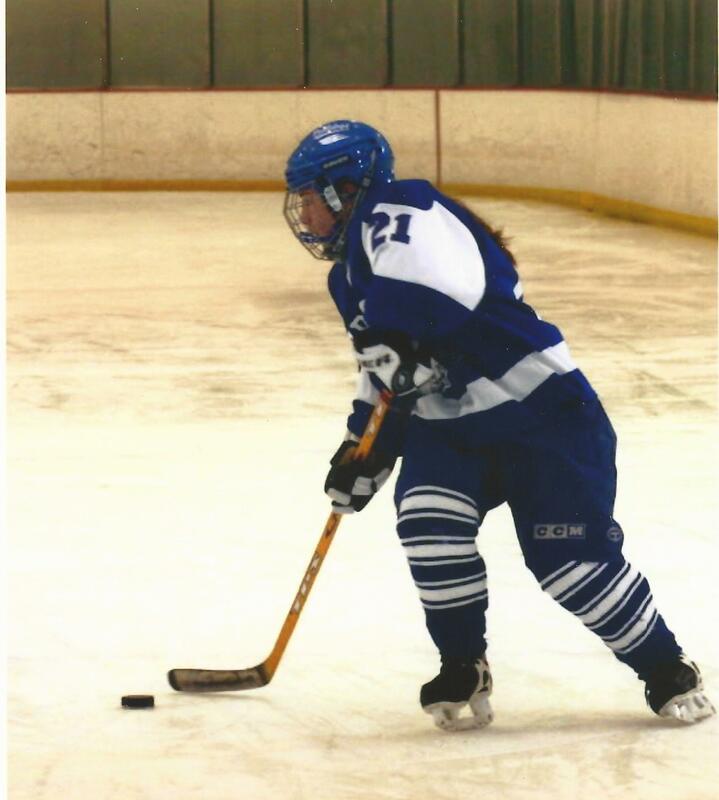 In future posts I will examine the costs and benefits of several labor supply policies directed at increasing the percentage of young people in NH as well as the percentage attending college and remaining in NH after graduation. NH is not monolithic, some communities and regions have been attracting younger workers and the age structure of their labor forces has not been increasing as rapidly as NH overall. If policymakers want to attempt to change decades of youth migration trends then these communities are instructive of the types of actions that may or may not help NH capture higher numbers of workers early in their working lives. Still, migration along with changes in the labor force participation rate among different demographic groups are going to be the primary determinants of the magnitude of NH’s labor force growth in the coming decades. As Figure 6 below shows, net migration from other states (the # moving in versus the # moving out) has been negative in recent years. That is largely the result of a slowdown in people moving to NH rather than a substantial increase in those leaving the state. The chart also shows that net international migration has offset much of the recent loss from state-to-state migration. 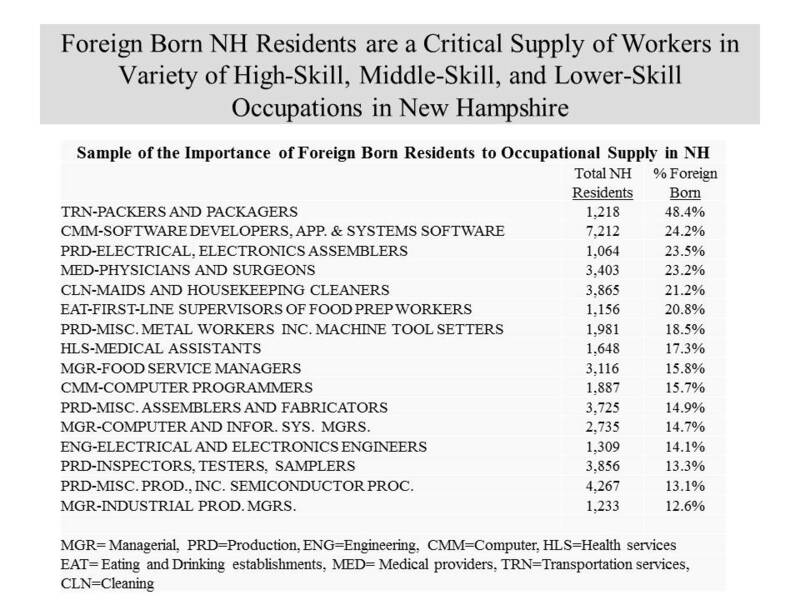 International migration of foreign workers into NH has played a critical role in meeting the demand for many occupations in NH. 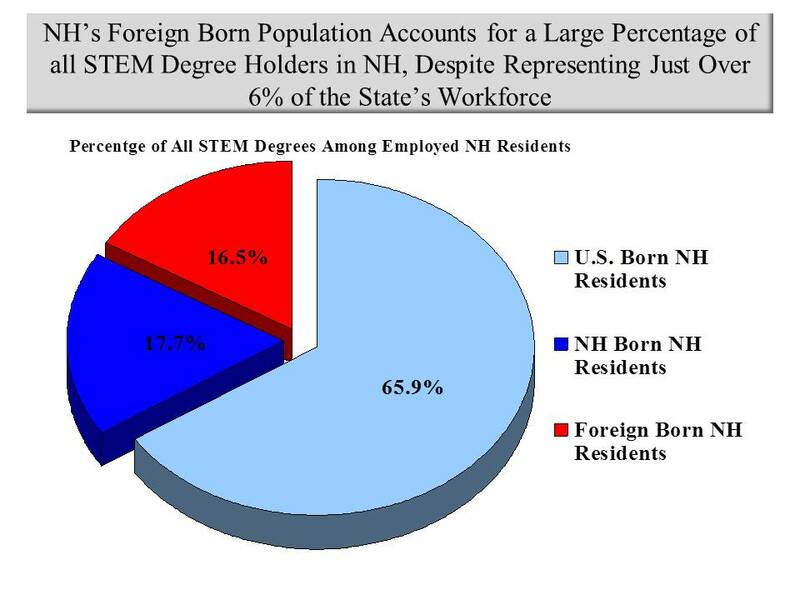 Overall just under 8 percent of the labor force in NH is foreign born but in some occupations such as computer and mathematical occupations and life and physical sciences occupations, the percentage of foreign born workers in the NH labor force is over 20 percent (Figure 7). Recruit (and Train) Discouraged Workers. These strategies are not available to all businesses or all industries. Of all, I like providing incentives to delay retirement the best – it is the “revenge of the baby boomers”. More occupations today are less physically demanding and older citizens are healthier than any time in our nation’s history. Combined, this should allow individuals to work (if they so chose) well beyond traditional retirement years. For a long while now younger workers have been all the rage. It is fitting that baby boomers who entered the workforce in numbers large enough to depress wages, and who have seen workplace cultures that increasingly look to appeal to the youngest workers, could see increasing demand for their services at the end of their working lives.